Vana Vihari is a community-based eco-tourism resort in Maredumilli. This is a sleepy hamlet in the East Godavari district of Andhra Pradesh. Known for its greenery, coffee, and pepper plantations, a picture book from your childhood transpires into reality here. This area also abounds in waterfalls like Jalatarangini, Rampa, and Swarnandhra around which you can also trek and camp. 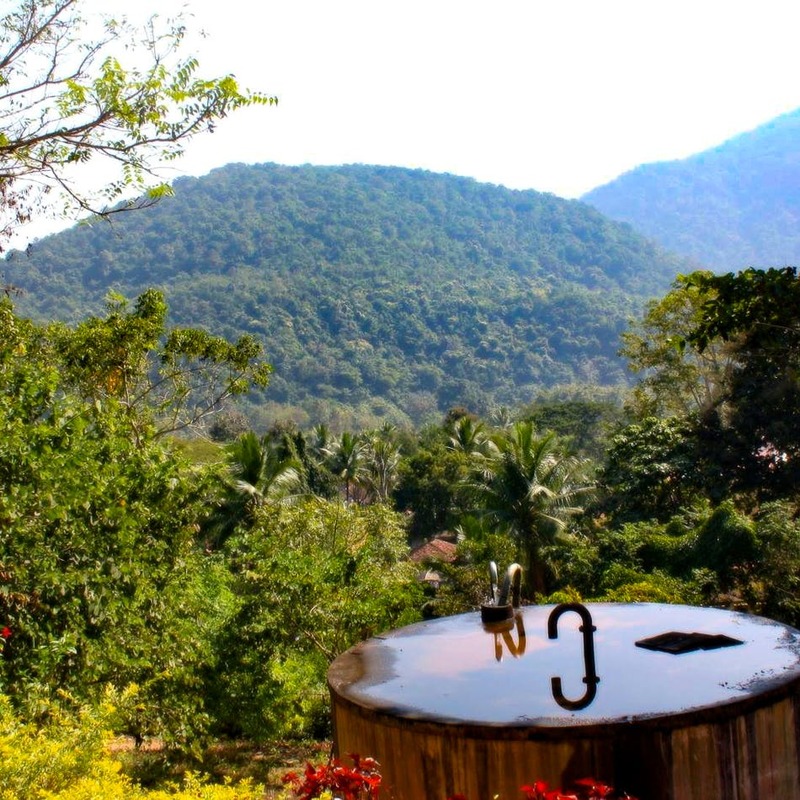 You can properly unplug from the outside world and step into a jungle at Vana Vihari Resort. This resort is managed by the forest department, and it's home to jungle cats, leopards, sloth bears, magpie robin, rare species of butterflies, and more birds. The accommodation is simple but it's located amidst lush greenery. Before you wander away, let us tell you that they have Hilltop Guest House (rooms perched on a hill, as the name suggests), Bison Cottages (very rustic), Pre-Fabricated Cottages (quaint rooms with garden porches), Wooden Cottages (luxe of all, which resembles an independent house), and deluxe rooms. The deluxe rooms are for those who are looking for a stay to spend just the night and explore the outdoors during the day. It is priced at INR 1,500 a night, and the other rooms are priced between INR 1,500 and INR 3,000. The in-house restaurant — Hill Myna Restaurant — is where you can tuck into Bamboo Chicken (the specialty of this area), Chicken Fry Piece Biryani, Cashew Tomato Curry, and more. Now, all you've got to do is make plans and walk into the wild! Vana Vihari promotes eco-friendly products and they have a store inside where you can check out their handcrafted cane furniture, pure honey, organic products.